How Likely Is An Asteroid Impact Here On Earth? If you’ve seen movies such as Deep Impact and Armageddon, you’ve probably come to realize that an asteroid impact here on Earth would be an absolutely devastating event that could result in terrible loss of life and massive destruction on a scale unlike we have ever seen. But, have you ever wondered what the chances are that an asteroid would hit Earth and leave behind the catastrophic mayhem like we have seen in the movies? 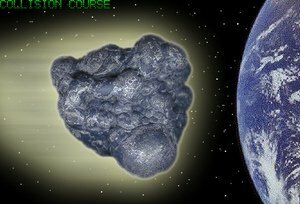 Asteroid 1950DA – This object could hit Earth in the year 2880. Object 101955-1999 RQ36 – After 2165, this object is expected to come within striking distance of earth on multiple occasions. Asteroid 1997XF11 – This mile-wide asteroid has the potential of completely wiping out life on earth, but is expected to miss our planet on its near-Earth flyby in 2028. Taking Asteroid 1997XF11 as an example (we’ll just call it Asteroid 1997 for now), you may wonder how an asteroid a mile wide could completely devastate a planet that is roughly 8,000 miles wide. Asteroid 1997, were it to hit Earth, would do so at a phenomenal 30,000 miles per hour. An item so big, moving so fast, would barely be affected by the exosphere, which normally breaks up objects, like meteorites, that head toward our planet every day from outer space. So, what makes Asteroid 1997 so threatening is its combination of speed and size, and these numbers directly correlate to how much impact that asteroid could have on Earth. If Asteroid 1997 were only about 40 feet wide and hit earth at 30,000 MPH, its impact would be roughly equivalent to the bomb that fell on Hiroshima in World War II – 20 kilotons; it would destroy concrete reinforced buildings up to a 1/2 mile from the impact site. If Asteroid 1997 were 200 feet wide (a 20-story building) and hit at 30,000 MPH, the damage would be similar to that of a 50-megaton nuclear bomb. Concrete buildings up to 5 miles from the impact site would be destroyed. Asteroid 1997, which is 1 mile wide, would have the same level of impact as a bomb 10 million times greater than the bomb that fell on Hiroshima. What does that mean? Concrete buildings in a 200-mile radius from the impact would be destroyed, and buildings as far as 1,000 miles away would receive damage from the impact; the dust from this event would block out sunlight across our planet and eventually kill virtually all forms of life. Whew, with all of this talk about an asteroid impact wiping out our planet, you may be wondering if there’s a way that you could track these asteroids yourself so you can see where all of these earth-threatening asteroids actually are right now. NASA has recently released an online map of potentially hazardous asteroids (they call them PHAs). This asteroid threat map lets you see the orbital paths of more than 1,400 asteroids that are expected to buzz by earth in the coming years. The good news? None of the asteroids on this map is expected to hit earth anytime in the next 100 years!